When you apply to Walden, you have the opportunity to join a diverse community of students from different cultural, economic, and educational backgrounds. Throughout our admissions process, you will work with an enrollment advisor who will guide you through each step of the way—from finding the right program to funding your education. With multiple program start dates throughout the year, you can begin your program when it is most convenient for you. Alternative Credit Option Walden has created educational partnerships with alternative academic institutions to help undergraduate students prepare for success in an online environment. Making Your Bachelor’s More Accessible Walden has partnered with StraighterLine to offer you affordable and transferable online courses. And for a limited time, you can receive $50 off your first StraighterLine course! Find out how to make your Walden application the best it can be. Attach unofficial transcript(s) and or submit additional documents as needed. You may also request official transcripts to be submitted directly to Walden. Start thinking about how many courses you want to take at a time. Many of Walden's programs offer the option to speed up or slow down depending on the time you have to dedicate to your education. Walden University is certified by the U.S. Department of Education to participate in a variety of grant and loan programs. If you are a U.S. citizen or permanent resident, you may be eligible to receive federal financial aid to help fund your degree program. we’ll find the right funding option for you. Federal Direct Parent PLUS Loans. Everybody was helpful. I mean, the process went very quick and easy for me. […], even down to financial aid, there was somebody there to instruct you on what was available, what different loans were available, what’d best suit me. […]Any time that I needed to contact financial aid or my advisor, it was as simple as setting up an appointment. […] I don’t have to try and find a school building and then stand in line for an hour and then by the time they get to me it’s like, “Oh, you’re in the wrong spot. You need to go over here.” So this was great, to set up an appointment online and discuss it with them. At Walden, three-fourths of our students receive some form of financial aid. Our financial aid team will help you identify your options. 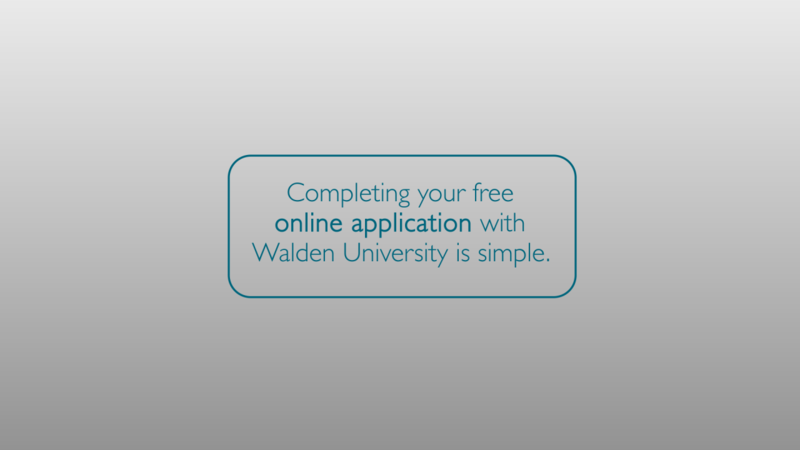 Work with Walden to fund your higher education. Walden helps you find the financial aid that’s right for you, including federal grants and loans. Ask an enrollment advisor about options. Walden University is certified by the U.S. Department of Education as eligible to participate in a variety of grant and loan programs available to U.S. Citizens.